With standard NVIDIA® performance-class graphics up to 2GB*, XPS™ 15 delivers a viewing experience that you’ll have to see to believe. Experience your favorite movies, music and streaming video at home or on the go with premium sound. Store thousands of songs, videos and photos with XPS 15’s large hard drive options. To get instant access to your media, choose an optional mSATA solid-state drive (SSD) that can boot up to twice as fast as a regular hard drive and resumes in less than 1 second*. An optional SSD and Intel® Rapid Start Technology* make it possible. 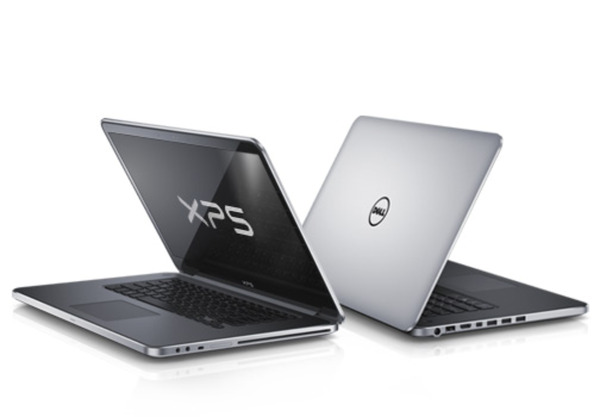 Your XPS™ 15 comes with Skype™ for video chatting, McAfee® Security and lots more. Your XPS comes with 1-year Next Day In-Home Hardware Support with Premium Software Phone Support. This will cover all of your hardware and software issues and queries. You can extend this support to a longer term or customize a suite of other services to add to this, including Accidental Damage Protection. Whether you want accessories for work, travel or play, you’ll find what you need at Dell.com. Pick up a portable hard drive, wireless mouse and keyboard, or a protective sleeve while you’re configuring your system to maximize your laptop’s mobile potential. Dell has always demonstrated case independence but also offers the same perfect manufacturing quality as the established Apple MacBook Pro.